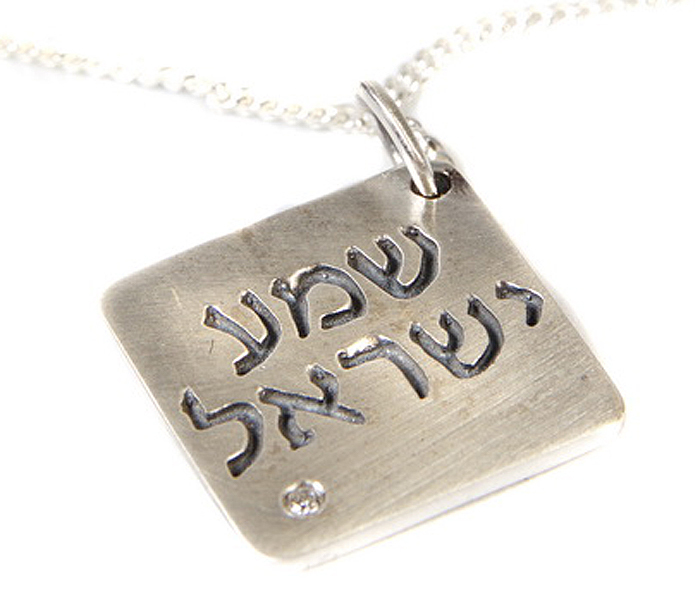 The words 'Shema Israel' ('Hear, O Israel') are engraved in a simple modern Hebrew typeface on the surface of this square sterling silver pendant from Israeli jewelry designers Emunah Jewelry. This pendant's unusual military-like styling makes it a great statement piece of Jewish jewelry and a wonderful gift for loved ones back home. The Shema Israel is supposed to protect the wearer, so it's particularly appropriate to wear it on a dog-tag pendant. Pick out one of Emunah's Shema jewelry designs and keep it close to your heart.